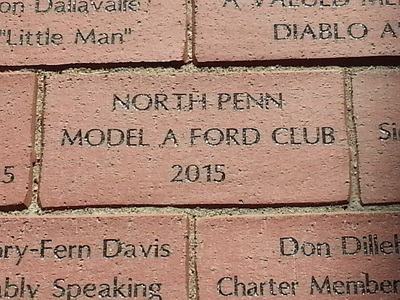 The North Penn Model A Ford Club is a group of Model A Ford enthusiasts who are interested in restoring, maintaining, and just plain enjoying the Model A Ford (1928-31). Our membership, coming primarily from the Pennsylvania counties of Montgomery, Bucks and Philadelphia, currently consists of approximately 60 families. All family members are encouraged to participate in our planned events and, indeed, our activities are well attended. Monthly meetings, held in centrally located Lansdale, PA, are set to meet and talk club business, discuss upcoming events, trips, and other outings, as well as having monthly 'Tech Talks' . One of the favorites is our 'Tech Sessions', where members gather at a local garage and either work together to fix a specific problem (someone's brakes, a cranky carburetor) or to do general maintenance on their own cars in a group of friends with similar interests. Other highlights are the holiday party, summer picnic, trips to auto shows, including Macungie (Das Awkscht Fescht) in August and Hershey in the fall, a number of local parades, day trips and sometimes longer tours, and many other car-related activities. 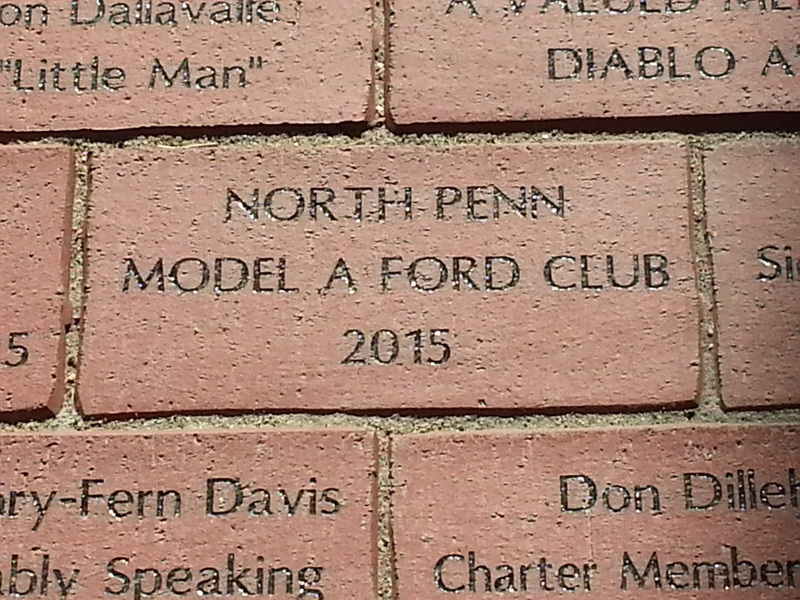 The North Penn Model A Ford Club is a member of the international Model A Restorer's Club (MARC). Members of our club are required to join MARC. MARC membership provides a subscription to the Model "A" News, the official bi-monthly magazine publication, which is full of helpful articles, regional club news. and car related ads. Members are entitled to a free 40 word classified ad in each issue of the magazine. MARC also hosts meets and tours in various areas across the country which members can choose to attend. 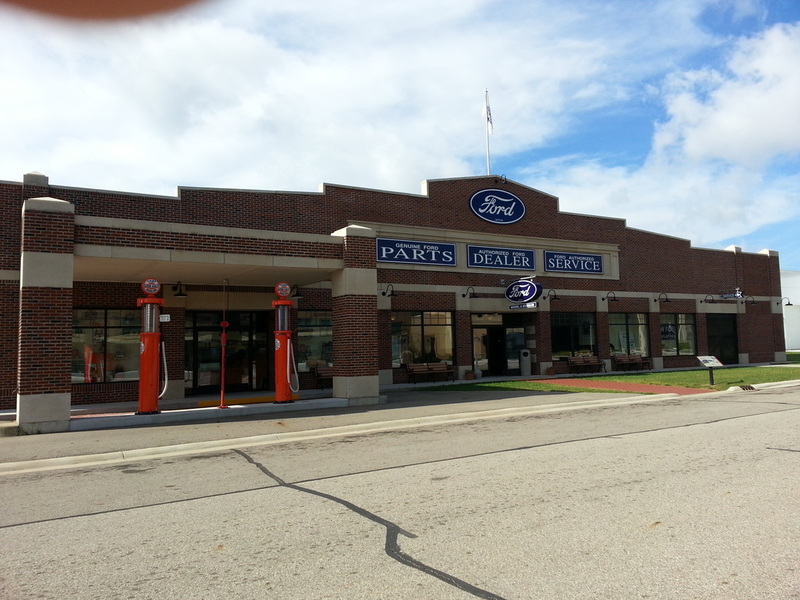 While Ford Model A ownership is certainly encouraged, it is not required. As a matter of fact, our only other requirement for membership is enthusiasm for cars of the era! Youth are welcome! For more information, please contact us using our contact page. NEXT REGULAR MEETING: Monday, May 6, 2019, at 7:30 PM in the library of Penndale Middle School, Lansdale. September 4 (Tuesday), October 1, November 7 (Wednesday), December 3, January (no meeting, Holiday Party), February 4, March 4, April 1, May 6, June 3. No meetings in January (scheduled Holiday Party), July and August. All meetings at 7:30 PM in the library, Penndale Middle School, unless noted otherwise. May 4 – Tech Session at Old Forge, Lansdale. 9:00 AM. Carol Allen coordinating. May 4 - The Annual Frederick Living Car and Craft Show at Frederick Living, 2849 Big Rd, Rt 73, Frederick. 10AM - 2PM. $15 Pre-registration, benefiting Alzheimer's Association. Contact Trina Johnson-Brady at 610-754-7878, ext 353. May 10 (Friday) – Tour Northern Bucks, Northampton and Lehigh Counties (Shirley says, “A long ride so gas up the car”). Tour the Mack Truck Museum; $5 donation/person is suggested. Lunch at the Superior Restaurant. Meet at 9:45 am at Richland Crossing Mall (park at Regal Cinema behind Walmart), Quakertown. Shirley Kernechel coordinating. May 24 (Friday) - North Penn High School Car Show, more details to follow. ​May 27 - Collegville/Trappe Memorial Day Parade 'HONOR WWII VETERANS'. Assemble at 9:00 AM at Augustus Lutheran Church parking lot. After the parade enjoy visiting and eating with the Kriebels at 90 Sixth Ave., Collegeville, PA. Please let Howard know the model you will be driving.